To find out more about our quality candidates and how we can support your recruitment needs, request a brochure. 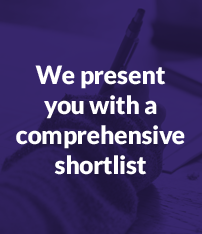 If you are an employer keen to discuss your current recruitment needs, simply request a call back and one of our friendly team will be in touch. We understand that finding the right staffing solution isn’t always easy, and can be extremely time consuming! That’s why establishing a sound, strategic partnership with our clients, where we both take time to invest in the relationship, enhances the likelihood of a successful hire in a shorter time period. Because we know our market in detail, we are able to make the recruitment process streamlined and efficient. Whether it is a permanent team member, a last-minute staffing emergency, urgently needed temporary cover, or a wish to outsource your entire recruitment process, The Business Connection team have the knowledge and professionalism to provide you with the very best in staffing solutions. One of the UK’s best known brands relocated their Customer Support Office to Chester Business Park from central London. TBC was appointed to support with the recruitment of their new team. A number of mediums were used to advertise the positions; from adverts on the TBC website and key job sites, bespoke social posts and referral emails to utilising the existing TBC database (built up over 20 years). All potential candidates were telephone screened and then invited to a face-to-face registration interview where their keyboard skills were assessed and telephone manner evaluated through role play. 40 roles were successfully filled within the client’s schedule. TBC continue to provide post-placement support for the client and the candidates, where required. Because customer service excellence is at the core of our business, we are advocates of the personal approach – we recruit for YOU! 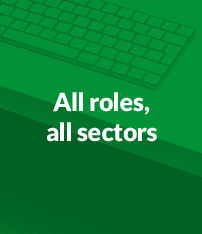 From Office Administrators, Receptionists, Customer Service Advisors, PAs, Executive Secretaries, Accounts/Finance staff and Office Mangers, right through to Finance, HR or Operations Managers, we can help you to recruit commercial staff across every industry sector. The Business Connection believes that it is the people you employ who make your business a success. We want the candidates we send to you, to be the closest of fit with your company and its culture. 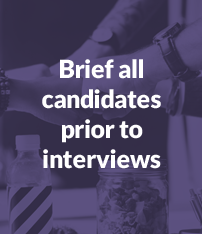 We want to make sure that the candidates we send are people you would want to work with – and we can’t do this just talking to them over the telephone. With the same principle in mind, we always visit new clients to take a full brief of the roles, so not only do we fully understand the position they are recruiting for, but also their company values and corporate culture. All essential to ensure the most accurate match possible! Our Online Timesheet management platform ensures that timesheet completion, submission and authorisation is a simple and efficient process. It is designed to save time and offer instant retrieval of timesheet data. Clients and candidates to view previous online time sheets, to either view the details of the timesheet to confirm against pay or when matching invoices. Whatever the activity of your office-based staff, we have an extensive portfolio of assessments which are valuable pre-screening tools. Are you recruiting for a secretarial role? Perhaps you are strengthening your administration or customer contact team. For these roles, our typing and data entry tests are the ideal way of checking typing speed and accuracy. You can use the copy typing, audio typing or data entry skills tests as part of the recruitment process, to assess each candidate on their skills. To ensure you are getting the best contact centre staff, who can contribute to your business quickly, we are able to offer a range of industry specific listening and keying contact centre skills tests. Choose from different sectors – Insurance, Financial, Retail, Home Shopping and Travel. Using our testing and assessment platform we are able to offer bespoke benchmarking, screening and testing across all MS Office programmes. Your in-house team can perform these tests themselves, ensuring potential candidates are tested to your company standard. This state of the art, on-line testing and training platform enables us to thoroughly assess our candidates’ skills and competencies and is a powerful tool to screen for a variety of roles. No time to deal with multiple agencies? Then let us take the strain… our flexible, fully managed service model is designed to deliver overall reduction in costs whilst increasing productivity. With the ability to be based onsite, our team are able to develop an excellent understanding of your business and its recruitment needs. Working closely with you, we establish an effective recruitment process whilst providing an accessible single point of contact and consolidating the administration involved …. allowing you to focus on your core business. We are able to select the best agencies to work with, those who share our values of honesty, integrity and doing things right. Our process is designed to attract, select and retain the best candidates available. Our success is measurable at every stage of the process which saves you time and money!